1How can I buy one of your products? The most comfortable way to order is in our online shop. Of course, an order by e-mail is possible. 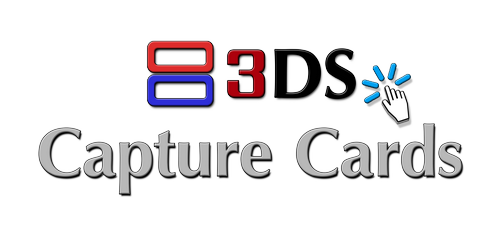 Merki.Net is the official distributor for the 3DS Capture Card! Therefore, we are happy to deliver our products to all regions of the world! The shipping costs to your location are indicated here or at the shop next to the products. 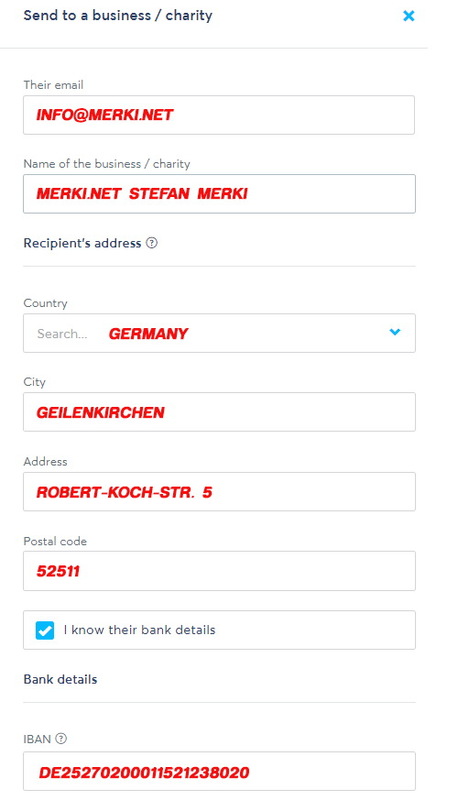 To get your own console installed by us, you have to send in your console to our company, which is located in Germany. As payment methods, we offer you PayPal or bank transfer. For European region customers, please use the SEPA (Single Euro Payments Area) bank transfer from your bank account - we have the payment within 24 hours and it is free of charge. For other regions customers, please use for your International payments, the safe and trusted service from Transferwise.com. For US region customers - please read below, we created a US$ currency bank account! We are located in Germany, therefore you will have to pay for your purchase in Euro (EUR) - this is no problem. As all banking systems are doing the currency exchange for you automatically. ◾ Transferwise.com charges 0.5%, but no fees on the exchange rate, as they use the real exchange rate. In our opinion Transferwise seems to offer the best service for money transfer, as there are no hidden fees. We get chaged by PayPal for receiving your Payment! Incredible - 5% of your purchase goes to them! But for all the banking options, it is free of charge for us. We are happy about every customer payment made with bank transfer or Transferwise.com. These customers will receive a very good USB-cable (cloth braided) for free! We have created a US bank account with Transferwise - so you can directly send us the payment in US$ currency! The amount you have to pay in US$ currency you will have to calculate by yourself - using the one real exchange rate from :Reuters, Google, finance.yahoo.com, etc. You can use Yahoo currency converter or Transferwise currency converter for example. Here are some further information about the REAL exchange rate from the Transferwise website about the mid-market rate, interbank rate and spot rate. The real exchange rate is the mid-point between the BUY and SELL rates on the global currency markets and it constantly fluctuates. We do not offer payment by credit card (VISA, MasterCard, American Express, etc.) directly! But via Transferwise.com., there you can deposit your credit card as a counter account, then immediately the amount will be charged to the credit account. Installment payments are not possible with us! 2Why is it cheaper for me to buy here and not in the US or Japan? This information is meant for European region customers! To understand why is this, you should first know how purchases work outside Europe, to be able to compare! 1. Almost everywhere in the World, except in Europe, the prices displayed at shops do not contain the VAT or Consumption Tax. 2. So, let's assume that you have bought the product and at checkout you paid also the VAT or consumption tax what was asked by the dealer on behalf of his country. Unforunately, this will not be the final price! Because of the import customs and duties which you will have to pay once your package is actual arriving to your home country. ◾ In our shop, the shipping costs are calculated automatically after entering your address. ◾ Within the European Union (excluding Switzerland and Norway) - there are no additional VAT or import duty in your country! This means that the displayed price at the shopping cart is the final price - no further costs! ◾ For countries outside the European Union (EU) we generally do not charge VAT on the entire delivery! The prices without tax are automatically displayed when the system recognizes your country of origin. If not, you will at latest see the tax-free prices after enterin your address at the checkout. ◾ For payments via SEPA bank transfer within Europe (all states) the transfer is free of charge! ◾ In our forum portal, the current process time is always specified. If you have ordered the installation and have sent the console to us, the modding takes place in 1-3 days, depending on when we got your package. As a rule, it takes usually only 24 hours! ◾ Transportation back to your location mostly takes one day within Germany and 2-4 days within Europe. Thus, most of the time the install process will not take more than a week - from your sending until receiving it back! ◾ With us, ALL customers have a claim to a 2-year legal warranty! Please note that there is only a 6-month legal warranty for wear & tear parts, including batteries and the USB port. Since the handling of things is crucial to their lifetime. ◾ Of course, the warranty includes the conversion (work) and the capture card (goods) as required by law. 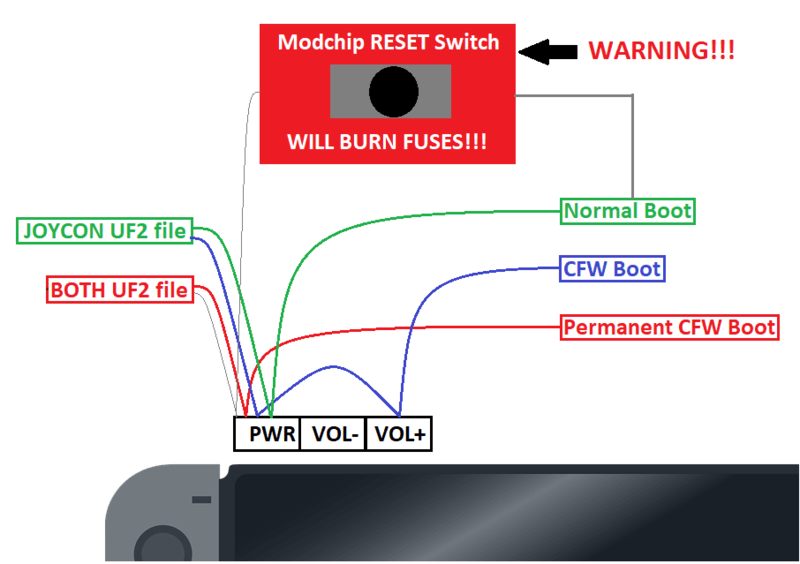 The liability for damage to your DS / 3DS, if we should damage something during modding the console, we take over, of course. -	In Japan, there are even only 30 days of voluntary warranty. 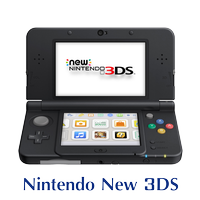 ◾ We offer you European or PAL set offers (a brand new console with pre-installed 3DS Capture Card). 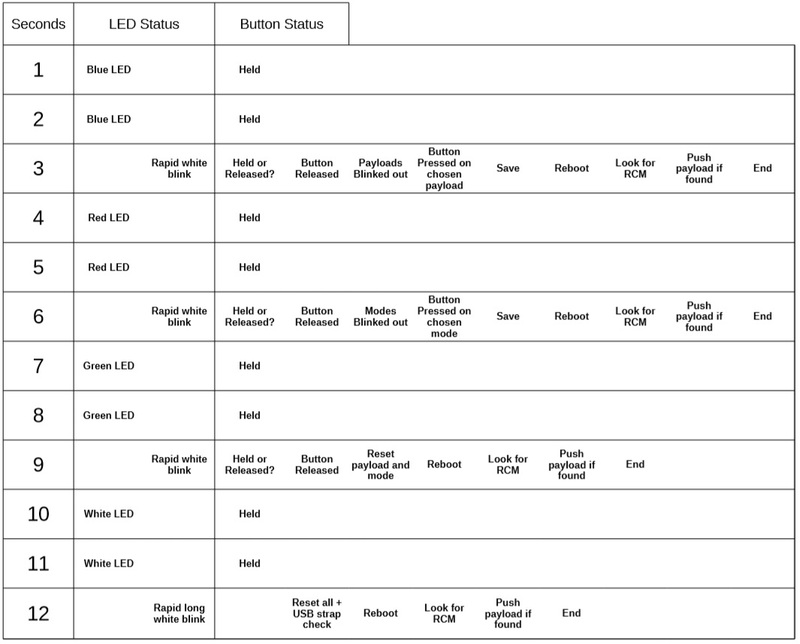 This are sets build of the currently available consoles on the market. Especially the set offer has a great advantage over a simple install - we do take over the warranty from Nintendo for the console as well so it covers the complete set! So within the 2-year warranty period, it does not matter if the console or the capture card has a defect - we repair or replace it. Of course our set consoles are new and unused! Excrept the Classic DS that we offer, these consoles are only available in used condition, but we are not buying them from eBay or such, therefore they are in a great condition. Check out the pictures at our shop, we add them always form our last delivery that we received. 3How long does a modding take and when do I get my console? It's depends on what you ordered, because we are offering you three different types of services. On the one hand, we offer you set offers (a brand new console with pre-installed 3DS Capture Card). These will normally be sent on the same or next day, depending on the time of day as you ordered it. For the modding in our shop you can make an appointment 24 hours before and bring in your console. The processing is done immediately and depending on the model, you can take your console with you, after 1-3 hours. If you have ordered the installation and have sent the console to us, the modding takes place in 1-3 days. It depends on when we got your package. Transportation back to your location mostly takes one day within Germany and 2-4 days within Europe. 4What should I send and what should I keep when I send my console to Merki.Net? Please include a small piece of paper with your address, so we can better identify your order. This note should be in the package or stuck to your console. This ensures we can get your system back to the right address, even if your address on the outside of the package is damaged from shipping or covered by paperwork taped to the outside by the shipping companies. Do not send along your games, power supply, pen, original packaging and instructions. The internal SD memory card can also be removed. Of course, it can also remain in the device, if you like. 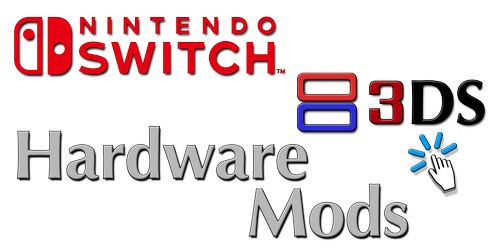 It is only necessary with hardware mods for the NAND Mod and RCM Mod. The console should be packed safely against falls and bruises. Therefore, we recommend wrapping the console with bubble wrap or foam and filling the package with crumpled newspaper - so that a buffer is created. For the return we provide the necessary packaging! See further details about shipping a console to us at our shipping advices page. 5What is the address I should ship it to? 6What about the warranty and liability? With us, ALL customers have a claim to a 2-year legal warranty! Of course, the warranty includes the conversion (work) and the capture card (goods) as required by law. 7Do I incur further costs when placing an order? It basically depends on whether you buy a product that is pre-modded and just shipped out, or your console that you first have to ship to us for modding. ◾ Shipping and packaging costs from your location to our company in Germany. You must pack your DS / 3DS / Switch securely and send it to our address. You have to bear the costs and organization of the transport yourself. ◾ Of course, also for repairs, which we should carry out at your request. Often we find a piece of paper where the customer has some things listed about defects that he is aware of. ◾ We test every console as we start working on it for obvious defects. If we notice them, we will contact you first to clarify on how to proceed. You always decide if a repair should be done or not! 8Do I have to send in my 3DS console or can I buy a pre-installed system? ◾ You are welcome to send us your (used) consoles for the modding. These are treated with the utmost care! The warranty also covers the installation work. 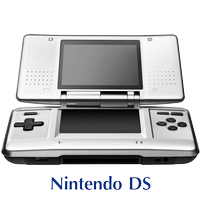 Of course, should we damage something while modding your DS / 3DS, we will cover the repair costs. 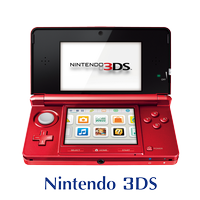 ◾ In addition, we also offer you set offers (a brand new console with pre-installed 3DS Capture Card). Except the Classic DS that we offer, these consoles are only available in used condition, but we are not buying them from eBay or such, therefore they are in a great condition. Check out our shop pics, these are from our last delivery that we received. We use brand new consoles and new replacement mainboards to be able to deliver you a console that is suitable for your region. Unfortunately we are not able to deliver with the set an appropriate power supply that is for the regions. 9How long do repairs take? A repair is treated preferentially by us! It is very annoying that such a circumstance arrives. Regardsless where you bought it, or whatever has led to it - we want our customers to be happy again as soon as possible! 10What should be considered if additional repairs are to be carried out? Lately we receive many orders, with broken consoles and requests for repair. Basically we do repairs - so that's OK! However, it would be much better if you would contact us beforehand and describe the defect. With this information, we can then often make you an offer directly. And if we do not have the replacement parts in stock, we can order them in time. In this way, you can avoid delays that occur because the component would have to be ordered and delivered to us. 1What is a Capture Card and how does it work? With a Capture Card for a Nintendo handheld-console you can display the video and audio content of your console on your PC-Desktop. If you want to record or stream this content to the Internet, you can use desktop recording/streaming software that is for free! The image and sound information is transmitted digitally, so the quality is 1: 1 what the console itself produces! 2How much does the Capture Card cost and for which consoles is it available? 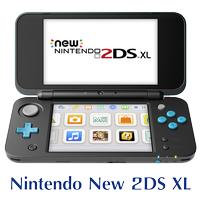 This varies depending on the model, the respective prices depend on the console generation. The older Capture Cards are a bit cheaper as the amount of work to do the modding on the console is less. Depending on the type of console, there are other options in addition to the Capture Card. They are explained at the Hardware Mods page. For all Capture Cards and modifications the installation is always included. 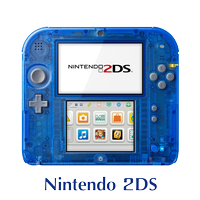 There will not be any for the DS Lite or DSi or DSi XL. With the installed 3DS Capture Card a 2 m long micro-USB cable is included. For the old 2DS and 3DS it is a mini-USB cable. We provide the drivers and the Viewer-Client software for download on our website (Info/Downloads). Additonally the Keity products have a license key, that is printed on our invoice! 4Can I make a firmware upgrade or does a capture card stop working after that? Of course you can always do a firmware update! The Capture Card is connected to your console only with the hardware. The 3DS Capture Card is invisible to the firmware of the console and the Viewer-Client software on the PC is completely independent of it, too. 5Why are you no longer providing audio filters with the Capture Card? The initial offerings with an audio filter (Basic / Extended / Value) were intended for Loopys 3DS Capture Cards before the firmware v3.0. AFTER the update of the Capture Software in 2014, the sound is also transmitted via the USB cable.Thus, this audio filter is no longer necessary! If you still want to record via the line-in port from the console, you can also order the audio filter from us. 6Will the 3DS Capture Card be offered for self installation? No, we solely offer the 3DS Capture Card including installation. The installation is already included in the price, our offer pays off for us due to the high import and transport costs only in this combination. Another reason is that the most customers were not able to finish the installation of the 3DS Capture Card and ended up with a broken system. To successfully complete the installation on the one hand requires a very good soldering station (we use the NASE-2B high quality nano soldering and desoldering station from JBC) and have a lot of experience with soldering on flex films. On the other hand, the disassembly and assembly of the console is not without risk, it can very easily damage components that are then no longer repairable. 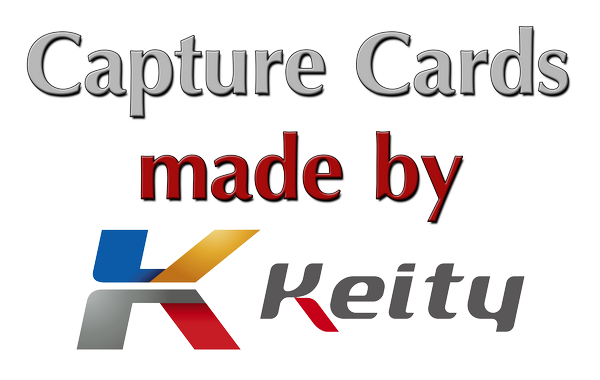 In general, the manufacturers Neal Tew (Loopy) & Keity Ltd. (Katsukitty) do not offer the 3DS Capture Card installation. 7Do I have to use a specific software for the PC? That's right, 3DS Capture Cards are produced by two different manufacturers, depending on the generation of the console. Thus, the drivers and the viewer (display) software for each generation are different. Each software can simultaneously display the screens and transmit audio, including the ability to scale, dock or release the screens. In addition, Neal Tew (Loopy) has added a feature for recording, u> Keity Ltd. did not implement this feature. So always make sure to install the right software otherwise the hardware will not work! 8Can I have my Capture Card moved to another console? Basically, a movement works to a console of the same type and generation. 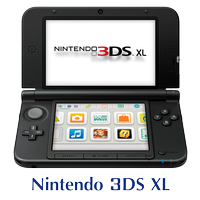 For example, you can transplant from old 3DS to old 3DS.It is not possible to transplant from old 3DS to NEW 3DS or from old 3DS XL to NEW 3DS XL. Also, always a new flex cable must be installed, because the old usually gets damaged by removing from the old console and does not work properly anymore. 9I used to buy a capture card from you. Would you buy them back? We are glad that you considering us! Therefore we can not buy your used Capture Card. 10I have limited space on my internal HDD, should I use an external USB HDD / SSD? This is generally a very bad idea! External USB devices are using the USB bus (chipset) and put a high load on the system. The biggest disadvantage is that the data transfer from your CaptureCard will be slowed down by the additional data transfer! All of this leads to lower frame rates (FPS) and dropouts in video and audio. Das ist generell eine sehr schlechte Idee! 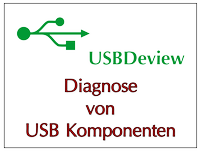 Externe USB-Speicher belasten den USB-Bus (Chipsatz) extrem. Der Nachteil liegt darin, dass durch den zusätzlichen Datentransfer die Datenübertragung von deiner CaptureCard ausgebremst wird! Das führt zu niedrigeren Frameraten (FPS) und aussetzern in Video und Audio. 1What is a NAND Mod (hardmod) Pro? Very simply said, it is the modification (hack) of the software that is responsible for signature verification at the boot process of the console. The goal of this hack was to gain full control of the system. That's what happened with this. The suffix Pro, refers to the Professional solution with an additional interface (5-pin port) and a plug-in SD adapter cable. This allows a robust data transfer for hacking. 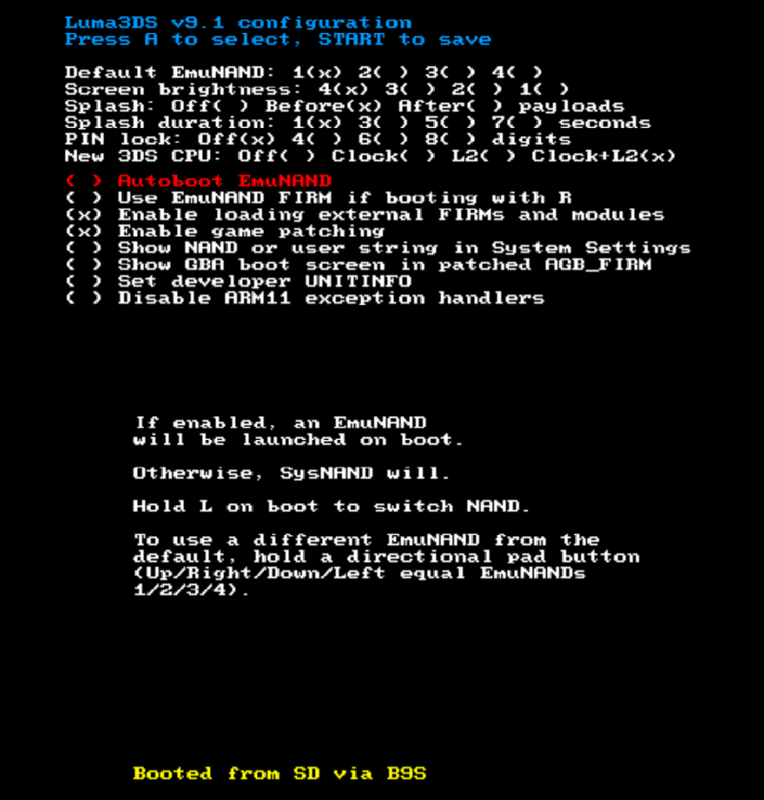 A full backup of the NAND (complete operating system with boot loader and settings) is created and the backup is stored on the internal SD card. The NAND Mod Pro includes a factory-made SD adapter. If you like us to create a backup, please provide a SD card with your system or order a NAND Support Pack. As an optional accessory, a NAND Support Pack in different sizes can be ordered from our shop. 3Is my NAND mod lost if I update to newer firmware? No - the NAND Mod remains! Since the hack is in the bootrom, it can not be removed by a frimware update from Nintendo. 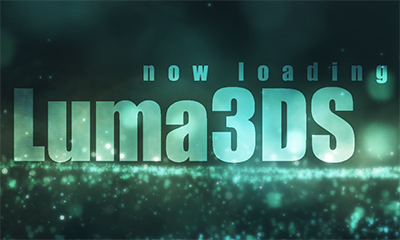 After several firmware updates, it may also be necessary to update Luma3DS. It's easy with the Luma Updater (homebrew) or simply manually updating the files on your SD card. But that happens very rarely - last time was 3 years in between ..
4When I start my console, I see Luma3DS for a second. How can I change it? 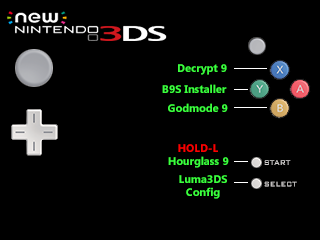 This is an optional part of Luma3DS, this is designed inside the bootloader to display as first a information screen. 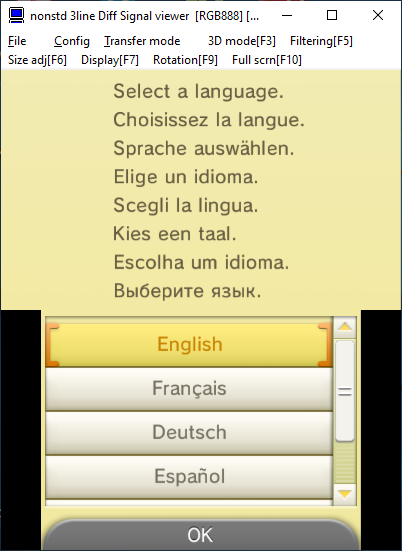 To change this option at Luma3DS settings, it is necessary to press and hold SELECT buttons while the console is turned on. At this menu you can change various options. The third line option - Spash - determines whether an image is displayed at startup or not. Just set it to off, to be disabled. 1What is a Switch RCM Mod? The RCM Mod is very similar to the NAND Mod! The selected RCM chip will be modified and installed. If an SD Card has been ordered from our shop, a full backup of the 32 GB NAND (complete operating system with boot loader and settings) will be created and the backup will be saved on the SD card. 3Console does not turn on, what can I do? Hold the power button steady for 12 seconds (it's a little hard to press, as the button is something deeper - it's easy with a pen), release it and turn it on again. If the console does not respond, briefly press the RESET point on the RCM chip (located at the back of the console. 4How can I update or flash the RCM chip? Just boot your console into the Switch OS (Horizon). It does not matter if it's the original operating system or CFW. Disconnect the console from the PC - if connected! Once you're in the home screen, press twice on the RESET on the chip! For this you have to bend the back cover slightly (where the chip is) to activate the hidden switch. If you have, connect your console to the PC. Now a drive should be open that contains CURRENT.UF2 and two more files. The important file is CURRENT.UF2. Now you can drag your downloaded Simple-UF2.UF2 onto the SWITCHBOOT drive. The chip will reboot and is updated from this moment. 5How do I switch between the payloads and modes? Since January 2019 the "New Universal Method" will be installed by us. It's a 7 wire installation with "straps" to the Joycon and Vol +. With this 7 wire installation with "Straps" to Joycon and Vol + the settings from the first table below are possible. Please note that the settings are constantly being changed/expanded with new features so this table could be outdated already! With this TV-Kit, you can connect your NEW 2DS XL, NEW 3DS or NEW 3DS XL Capture Card directly to a TV via an HDMI cable. A PC is not required! The TV-Kit works ONLY for the latest (2nd generation) of Keity's Capture Card. 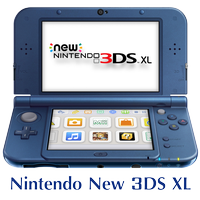 It does not work with the Classic DS and (Old) 2DS, (Old) 3DS and (Old) 3DS XL! The TV-Kit is designed to connect directly to a TV or projector - not to another Capture device such as Elgato or Avermedia. This function already has the 3DS Capture Card itself, that could be connected to a PC. The TV-Kit is pre-programmed and very easy to use, it's just plug and play! ◾ Waiting for Connection - The TV kit is waiting to be connected to a NEW 2DS XL / NEW 3DS / NEW 3DS XL console. Please always shut down the TV-Kit with the P button (Power). It is a mini PC and has an operating system on the SD card like your Desktop PC has. If you ignore this, the result would be a damaged or corrupted SD-Card! Also, the TV kit would take longer for the next boot because it would first have to fix the file system of the SD-Card. This could even lead to a start is no longer possible. The TV kit comes with a 32GB SD card and a universal power adapter. We deliberately do not include an HDMI cable, because each user will certainly need a different length. Therefore it would be an absolute waste of our planet resources! 3Can I use the TV-Kit with an EXTERNAL capture card? 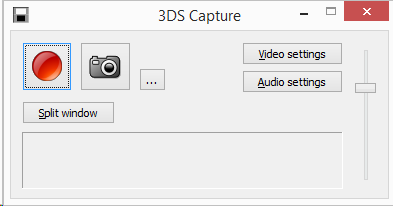 Basically, there is hardly any need for a recording with an external capture card, because the 3DS Capture Card can be connected directly to the PC, so it does everything itself! Nevertheless, someone could come up with the idea of watching at the TV and wanting to record at the same time. To say it directly, this TV-Kit is not intended for that use! The recording should be possible in principle. However, there are restrictions , which is why we can not guarantee it! • Input lag (delay) - when connecting one MORE Capture Card (it is now the No. 3) you have to assume a lag. Whether this lag was noticeable ultimately depends on the performance of your external capture card. • Audio synchronization (distortion) - It can become an increasing come displacement of the audio signal. The reason is the game console itself, since Nintendo uses on all DS and 3DS consoles here 32.700 kHz (32700 Hz). This audio frequency is quite unusual and not the usual 44,100 kHz that the rest of the world in general uses. If your external capture card can not record that frequency directly, it will have to convert that, which will cause the dropouts or even become asynchronous. If you want to use and record it for other viewers to present it on a TV or beamer AFTER your external capture card (Avermedia, Elgato etc ...), we can advise you as a player only to look at the screen of your console and possibly to use headphones for yourself to work around these problems. 1What is a Palette 2 / Palette 2 Pro? 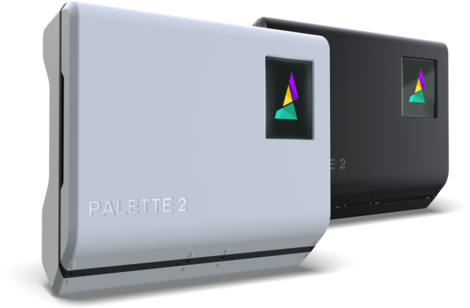 Mosaics Palette 2 / Palette 2 Pro is a 3D-Printer Accessories. Its purpose is to combine four different types of filament (not only different colours are possible) - spliced/bond together in one contious filament and feeds it into your single extruder (head) 3D-Printer. All of this in real time, no modifications are required to your 3D-Printer at all! With the intelligence of the Palette 2 / Palette 2 Pro the filament appears at the right position for your Multi-Material printout. 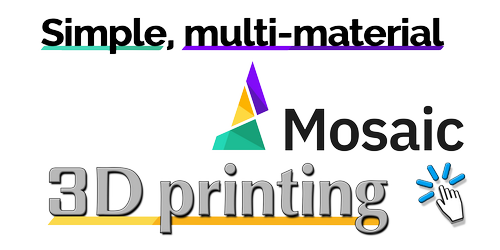 ● Print impossible overhangs with water-soluble support. ● Make heat- and water-resistant models in four colors of durable PETG. ● Create functional, end-use products by combining PLA with a flexible TPU. ● Improved hardware design helps to create consistent and reliable bonds between filament. ● Color touchscreen includes built-in Gradient and Pattern modes. Basically one should know that with a installation of Windows first all device drivers come from Microsoft. Of course, these were not developed by Microsoft itself, but the various manufacturers have submitted these so-called "fail-safe" or base drivers at Microsoft. These standard drivers were signed by Microsoft - because they meet the quality requirements of Microsoft WHQL - Windows Hardware Quality Labs. This means that the hardware can be started with this drivers without causing damage to other components in the Windows system. This certification is very expensive. As a result, the manufacturers usually only certify their drivers for the new release of a product, and the drivers are designed just for maximum compatibility and are therefore very slow. In addition, most of them have only the basic functions built in. For example, e.g. support for sound cards for stereo mix mostly not available. Anyone who assembles and installs his own system will already know the procedure. After completing the Windows installation, use the driver CD included with the hardware or download the latest drivers from the manufacturer's website. For complete systems, a well-configured and up-to-date system should already be in place. From my long professional experience in the IT industry, unfortunately this is often not the case! For the performance of your system to be sufficient for capturing / grabbing, all relevant drivers must be up to date. The hardware of the 3DS Capture Card only works with the driver of the respective manufacturer. • (old) 3DS –uses a micro USB plug - these were only sold until the end of 2016! 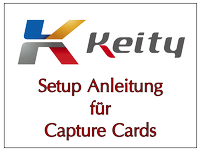 • Keity's Capture Cards hardware is based on a new generation of the Cypress USB controller and a Xilinx FPGA chip. That's why Windows does NOT recognize it! Instead of the Capture Card, an Unknown Device appears in the Device Manager. • After rebooting your system, it's time to start the nView software (included in the driver and software package) for the first time. 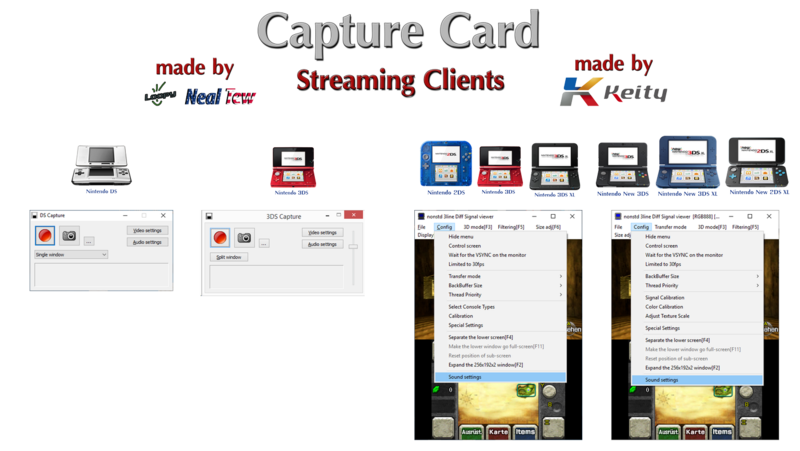 • Once Keity's n3DS_View software is started and the Capture Card is connected to your PC, the second part of the microcode is automatically loaded into the Capture Card's PRAM memory. The Capture Card immediately performs an internal reboot for itself. That's why you hear the sound Windows makes, when a new USB device is connected. • This completes the driver installation and the capture card is ready for use! Because this microcode is not permanently stored in an EEPROM, the information in RAM automatically erases - every time the capture card is disconnected from the PC. The next time you connect, by uploading the code this simply turns a generic USB device in a Capture Card again. Incidentally, this is also the reason why only one 3DS Capture Card can be connected simultaneously from the 1st or 2nd generation at the same time! • The Capture Card is not a video, scanner or webcam device, so there is no universal interface for grabbing or transferring video & audio content. 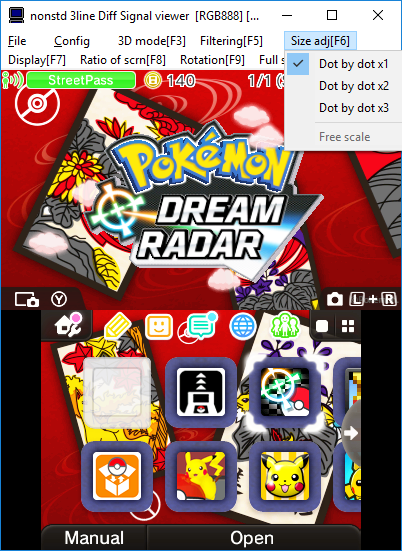 • In order for the two screen contents of your console to be visible (streamed) on the PC, you will need the streaming client software n3DS_View from Keity! This software is included in the driver and software package - in a 32 & 64 bit version. The versions for the "old devices" and "new devices" are not compatible with each other! So make sure to use the right driver and software for your console! • The Capture Card software transmits 1: 1 the original resolution of the console - 400 × 240px (top) and 320 × 240px (bottom) to your PC desktop. 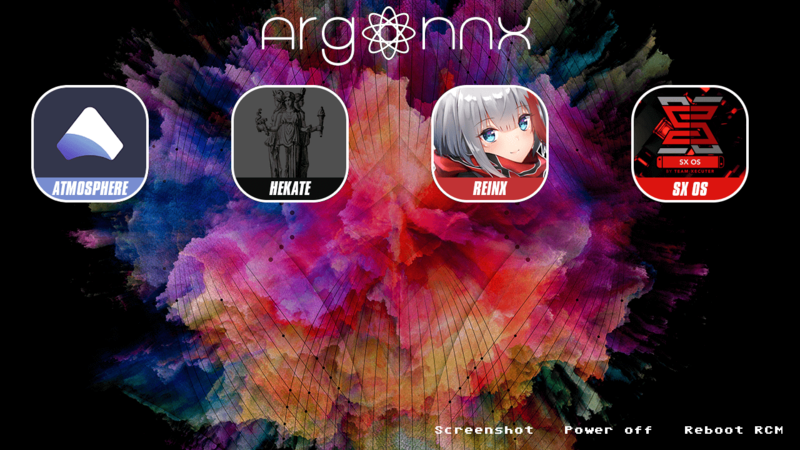 • This screen information is displayed in one or two scalable windows, and the in-game sound is played through your sound card using a stereo mix. The image quality of the lower screen may be incorrect. The reason is that the program does not automatically find the correct values for the VSYNC of your graphics card. To adjust this value, please go to the menu Config> Calibration> Lower screen CLOCK and set the value between 1 and 12 so that the colors are right for you. • The audio output via the USB cable is not activated by default! The reason for this is, that the n3DS_View software can not decide for you - which audio device should be paired with stereo mix in Windows. For Video output is much easier, because it always takes the primary screen. 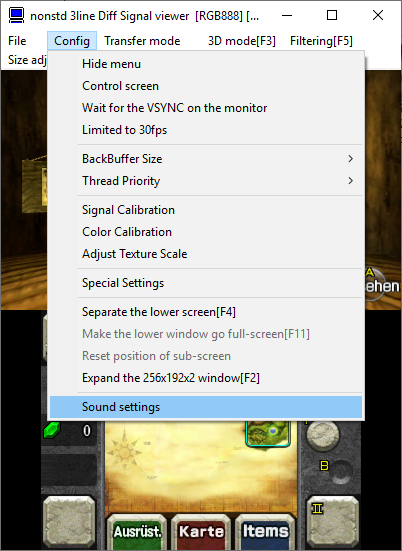 • Please go in the n3DS_View software to the menu - Config -> Sound settings. 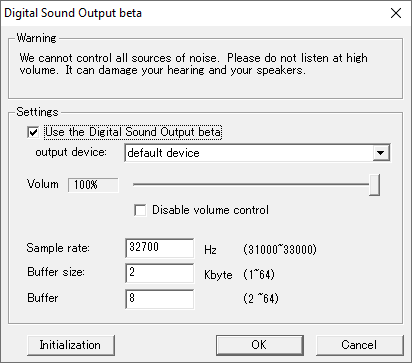 Set the check to: "Use the Digital Sound Output beta", select your soundcard and click on "Initialization" in the lower left corner. When initializing the hook goes away again! Make sure you set the check again and click OK to save! The program will now automatically adjust the stereo mix for you. 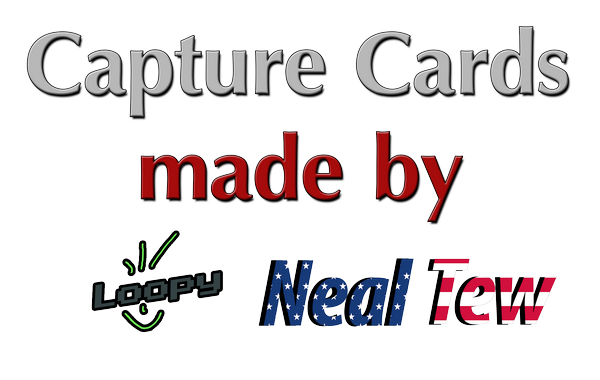 The Capture Cards from Loopy (Classic and DS (old) 3DS) use a generic (universal) USB driver for connecting to Windows. The newer Windows operating systems like 8, 8.1 and 10 already contain these drivers. These do not require additional drivers. Therefore, Capture Card is recognized as a generic USB device in Windows Device Manager. We recommend you to install our drivers, then the Capture Card is also correctly listed as DS Capture or 3DS Capture under USB devices. Here on this page under Downloads you can download and install the drivers. 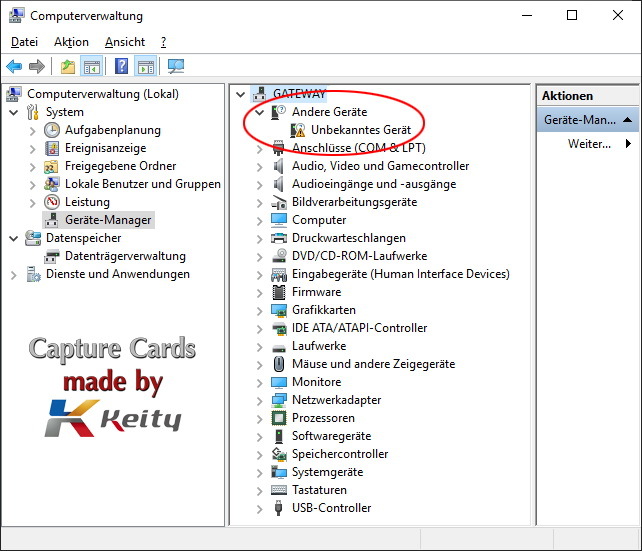 • Die Capture Card ist kein Video-, Scanner- oder Webcam-Gerät, deshalb gibt es keine universelle Schnittstelle für (grabbing) Programme zur Übertragung des Video- & Audio-Inhalts. 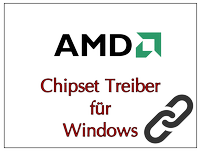 • Damit die beiden Bildschirminhalte von eurer Konsole auf dem PC sichtbar (ge-streamt) werden , benötigt ihr unseren Streaming-Client „3ds_capture.exe“. 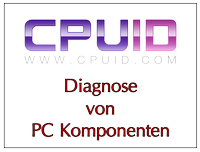 • Die Capture Software überträgt 1:1 die Original-Auflösung der Konsole - 400×240px (oben) und 320×240px (unten) an euren PC. • Diese Bildschirm-Information wird in einem bzw. zwei skalierbaren Fenstern dargestellt und der In-Game-Sound wird bei einem 3DS über eure Soundkarte mittels Stereo-Mix wiedergegeben. • Hier im Info-Bereich unter Downloads könnt ihr die 3ds_capture.exe herunterladen. 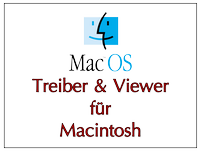 Diese Software ist in dem Treiber- und Softwarepaket von Loopy enthalten. • Aufnahmefunktion - der Video- und Audio-Stream wird in einem AVI Container aufgenommen. Dabei kann man selbst die Codecs und die gewünschte Qualitätsstufe wählen. 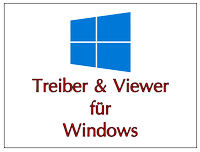 • Für ein Live-Streaming wird die Bildinformation im Fenster ausgegeben, jedoch benötigt man weitere Software wie z.B. 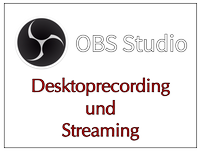 OBS (kostenlos), um diesen Stream ins Internet zu übertragen. ◾ Die Classic DS Capture Card verfügt leider nicht über die Möglichkeit Audio zu übertragen! Hier muss der Sound der Konsole mit einem Audio Kabel an der Kopfhörer-Buche übertragen werden und Analog am PC augenommen werden. ◾ Bei der 3DS Capture Card wird der „In-Game-Sound“ über USB an den PC übertragen. 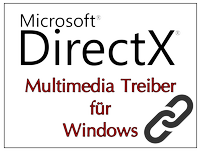 Dabei ist es wichtig, dass die Soundkarten-Treiber sowie DirectX aktuell sind! 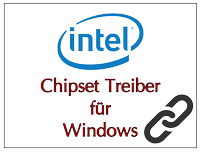 Bitte schaut euch die Voraussetzungen an bei: Basiswissen - Vorbereiten der Windows Plattform. ◾ Den „In-Game-Sound“ hört ihr am PC-Lautsprecher, aber bei einer Aufnahme mit der Capture Software wird er nicht aufgenommen? • Dann ist wahrscheinlich Stereomix als Aufnahmequelle nicht ausgewählt. ◾ In der Capture Software habt ihr kein Stereomix zur Auswahl? 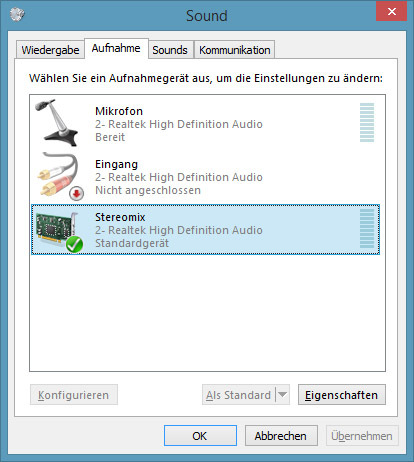 • Entweder ist noch der Windowseigene WDM Sound-Treiber installiert oder Stereomix ist noch nicht sichtbar gemacht worden. • Setzt einen Haken bei "Deaktivierte Geräte anzeigen" jetzt könnt ihr Stereomix in "grau" sehen weil es noch Deaktiviert ist. ◾ Stereomix ist da und ihr könnt jetzt den „In-Game-Sound“ hören und aufnehmen, aber eure Kommentare über das Mikrofon werden nicht gleichzeitig mit aufgenommen!? 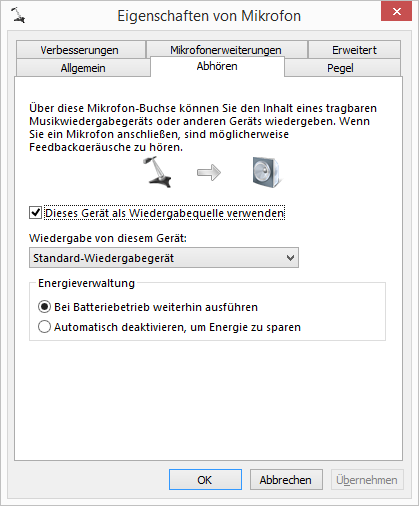 • Jetzt wird das Mikrofon auch über euren Windows-Sound wiedergegeben und kann als „Stereomix“ über die Capture Software aufgenommen werden. Die Auswahl des Video-Codecs. Damit bestimmt ihr gleichzeitig, wie gut die Qualität und welche Dateigröße entstehen soll. Die Auswahl des passenden Codecs bestimmt maaßgeblich die spätere Verwendung. Ein Codec der "Lossless" also ohne Qualitätsverslust aufnimmt wie z.B. Lagarith, ist am besten für anschließende Weiterverarbeitung mit einem Schnittprogramm. Soll das Video ohne Schintt und die damit zusammenhängende Neucodierung des Videos direkt hochgeladen werden, dann wäre ein Codec der bereits selbst gut komprimiert, z.B. 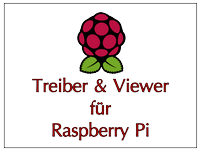 H264 oder Divix , die bessere Wahl. Außerdem kann bestimmt werden welcher der beiden Bildschirme oder beide auf genommen werden soll. Die Auswahl der Audioquelle (Mikrofon, Stereomix, etc. ), die zusammen mit dem Video in die AVI-Datei geschrieben wird. 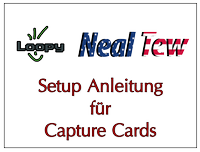 In Loopy's Capture Software ist ein Lautstärkeregler integriert, damit bestimmt ihr den Pegel der Lautstärke, die vom 3DS kommt. 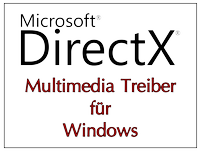 Also wie laut das ist, was an Windows (DirectX-Sound) weitergeleitet wird. Grundsätzlich hat der Lautstärke-Regler am 3DS insgesamt keinen Einfluss auf die Lautstärke der USB-Audio Übertragung! It is always the respective streaming client of Keity or Loopy needed - ie. their original software (n3DS_View.exe or 3dsCapture.exe) to transfer the screen content and the in-game sound to the PC! With the launch of Keity or Loopy's software (streaming client's) on your PC, their software will display a livestream from your console's screens. 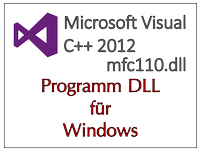 You can choose whether only one or both windows will be displayed. Whether they are docked or stand alone and you can choose between different aspect ratios or just drag the window with the mouse as you like. One or more open windows will be recorded under Windows or Mac. Some such as e.g. OBS can also stream live to the Internet, others can only record. 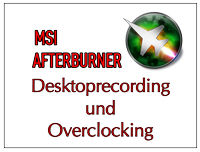 The following are often used: OBS, MSI Afterburner, Dxtory, Fraps, Camtasia, XSplit and some others. This third-party software usually has even more far-reaching functions. For example, then multiple audio tracks (sources) can be recorded and stored. For further editing, you could then edit the audio tracks and leave the original sound and make adjustments to the audio comment / cut / add, etc. A special feature of the streaming clients of Loopy with the possibility also record. You get a video and an audio track together in an AVI container (.AVI file). As of version 3.0, this client has the ability to record audio and video over USB! The Classic DS variant can not do this! 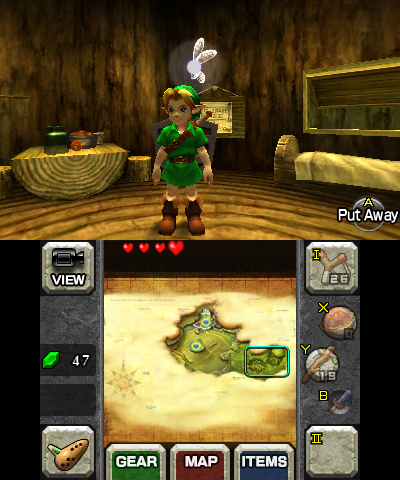 Video can only be played and recorded here because the Capture Card does not process audio in the Classic DS model. ONLY in this model the analog audio stream via the auxiliary jack has to be taken, all others are not affected. Choosing the video codec determines how good the quality of the recording or stream is, but it also has a big impact on the amount of data that needs to be transferred or stored. It is also very important to know that the selection of the right codec decisively determines the later use. A video codec that records "lossless" without loss of quality, such as Lagarith, is best suited for subsequent processing with a video editing program. If the video is to be uploaded directly without intersection and the associated re-encoding of the video, then a video codec that already compresses very well, e.g. H264 or Divix, is the better choice, because it generates significantly smaller amounts of data. Nintendo uses a frequency of 32,700 kHz (32700 Hz) for handheld game consoles. This audio frequency is quite unusual and not the usual 44,100 kHz for CD sound and 48,000 kHz for DVD video used by the rest of the world. This difference causes the sound card to "stumble" because it is not the default frequency in Windows. In particular, Analog recordings have this problem, which are made via the Aux port on the jack plug at the Classic DS consoles. The same behavior can also happen with the TV kit, because here the sound with the same frequency of the console is passed on. That's why there are dropouts or it will be asynchronous partly with a strong scratching. Unfortunately, some TV sets also have problems with this frequency. To prevent this from happening, please set the frequency to 32,700 kHz for your analog recordings. 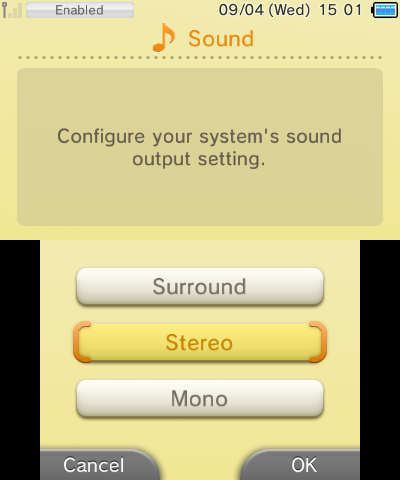 Basically, the volume control on the 3DS has no overall effect on the volume of the USB audio transmission! 6General: How do I connect a capture card? The Capture Card comes with a USB cable. We recommend that you use a USB port directly on the motherboard (at the back of the PC, where the graphics card output is). A USB 2.0 port (black) usually works better than USB 3.0 port (blue), but it could also be used. If there are still problems, you can also try it with an intermediate USB hub (active). 7General: Why does the recorded video of my screens appear so dark? Turn off the power save function on the 3DS and set the brightness to the highest level, then you have the best picture quality. 8General: How can I improve the audio quality? 9General: The frame rates I see are pretty low, what can I do? This is due to 50% on either did not install drivers for your motherboard for both the chipset and also for the USB controller. Or on another USB device that blocks or extremely slows down the USB bus. 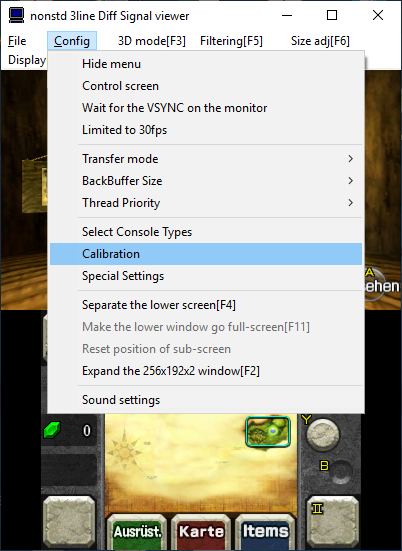 The consequences are then often a low FPS rate or even that the Capture Card is even not recognized by the system at all. Most older USB devices are to blame as webcams are often still internally connected with USB 1.1 and require exclusive access to the USB bus. Therefore, we advise you to troubleshoot, by first unplug all other USB devices and test whether the problem is resolved. 10Loopy: In the Capture software, the volume control can not be moved, what can I do? 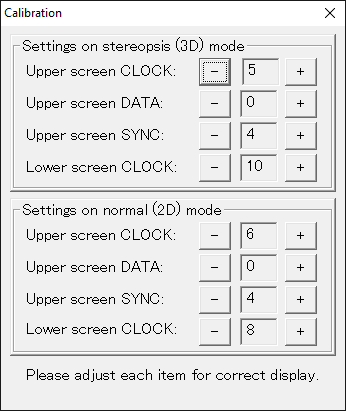 If the volume control in Loopy's software does not move, then DirectX has not been installed or there is only a very old version of it. 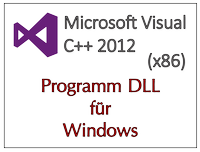 Check out the requirements: Basic knowledge - Preparation of the Windows platform:. DirectX Web Setup installs the latest package from the Microsoft website for you. 11Loopy: My USB microphone does not get recorded using stereo mix, what can I do? Some USB microphones do not record in-game sound AND the microphone together. 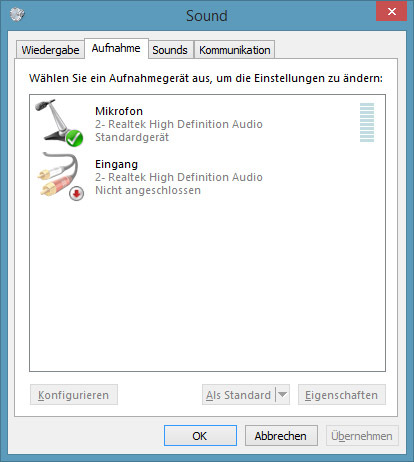 This happens when in Windows the USB microphone is used as default in the settings of the sound card (onboard or internal) of the stereo mix. ◾ Quick installation guides (old)!